As part of our Construction Imaginative Play week we’ve been cutting, colouring, crafting and creating cars and trucks with this fun book from B Small Publishing. Encourages Colouring– I’ve written a lot about encouraging colouring and drawing on my blog (see here) as there are many children that simply don’t enjoy putting pen to paper. We found the activities in this book such as making cars were a brilliant incentive to get children wanting to practise colouring. Varied Activities- The variety of activities themed around trucks and cars is fantastic, including making roads, vehicles and using stencils. The craft activities are particularly great for inspiring imaginative play as children can play with their creations. 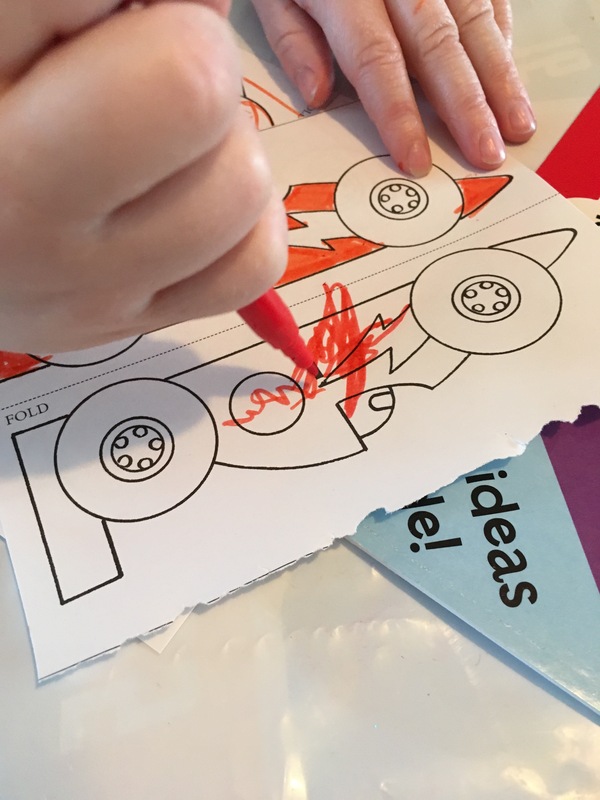 Educational– Make and Colour Cars & Trucks is also very educational, prompting children to ask questions about the various different vehicles. LOoks great. Like the idea they suggest for making your own roads.